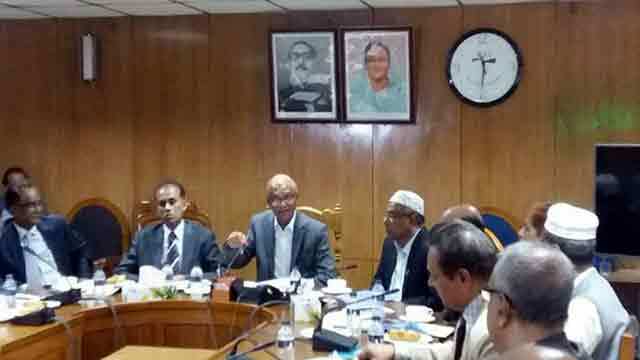 Dhaka, Dec 17 (Just News): Education minister Nurul Islam Nahid on Sunday held a section of teachers responsible for leak of question papers, saying they are the real perpetrators behind the social menace. The minister came up with the allegation in a meeting between the Anti-Corruption Commission and the education ministry at the Bangladesh Secretariat in the capital. ''Many suggestions were made to contain leak of question papers. One of the suggestions is to print question papers half an hour before the tests start," Nahid said. ''But, it doesn't matter whether we print questions half an hour early as we realised that it's the teachers who leak the questions,'' he added. Nahid also alleged that a section of teachers does not teach in classrooms. Rather, they do it at their home or coaching centres. He also said that the education ministry will work together with the ACC to resolve problems in the education sector.